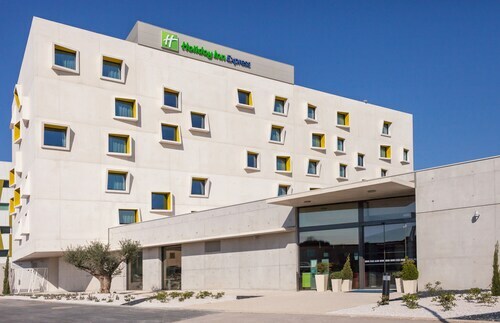 Situated in Lattes, this hotel is within 3 mi (5 km) of Montpellier Town Hall, Comedy Square, and Place de la Comedie. Goolfy Mini-Golf and Esplanade de l'Europe are also within 3 mi (5 km). Located by the sea, this family-friendly campground is within 6 mi (10 km) of Corum Convention Center, Montpellier Cathedral, and Comedy Square. Lunapark de Palavas and Palavas Beach are also within 6 mi (10 km). This family-friendly Lattes vacation home is located by the ocean, within 2 mi (3 km) of Lattara Archaeological Site and Museum, Kid's Fantazy, and Parc des Expositions de Montpellier. Loc Karting and Centre Commercial Grand Sud are also within 3 mi (5 km). 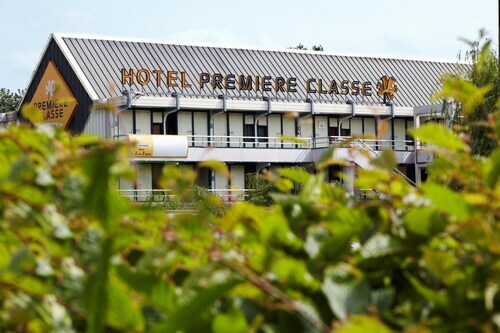 Located in Port Marianne, this hotel is 0.2 mi (0.3 km) from Mare Nostrum Aquarium and within 3 mi (5 km) of Place de la Comedie and Comedy Square. Planetarium Galileo and Vegapolis Ice Rink are also within 10 minutes. Place de France Tram Station is 7 minutes by foot and Odysseum Tram Station is 8 minutes. 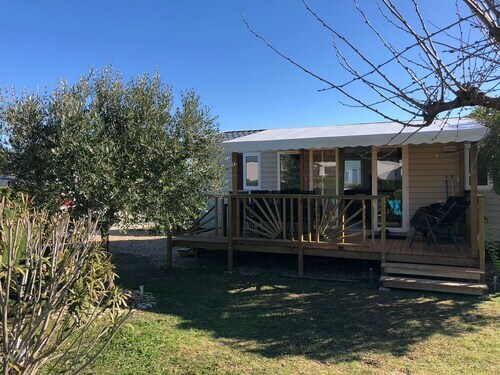 Situated in Lattes, this campground is 0.8 mi (1.4 km) from Lattara Archaeological Site and Museum and within 3 mi (5 km) of Kid's Fantazy and Parc des Expositions de Montpellier. South of France Arena and Maison de la Nature are also within 3 mi (5 km). 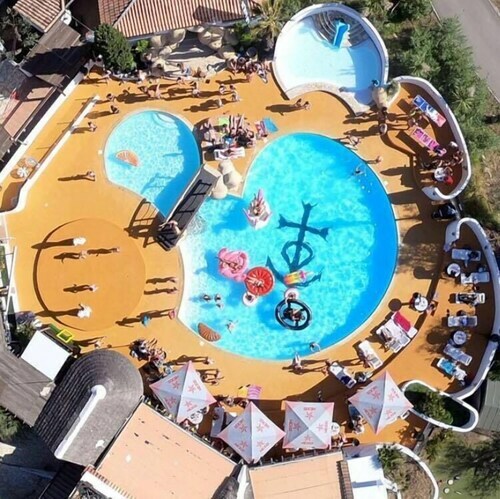 Located in the heart of Lattes, this resort is within 2 mi (3 km) of Lattara Archaeological Site and Museum, Kid's Fantazy, and Parc des Expositions de Montpellier. Centre Commercial Grand Sud and South of France Arena are also within 3 mi (5 km). Situated on the waterfront, this property is within 2 mi (3 km) of Lattara Archaeological Site and Museum, Maison de la Nature, and Centre Commercial Grand Sud. Kid's Fantazy and Loc Karting are also within 3 mi (5 km). This family-friendly Lattes campground is located by the ocean, within 2 mi (3 km) of Lattara Archaeological Site and Museum, Kid's Fantazy, and Centre Commercial Grand Sud. Maison de la Nature and Parc des Expositions de Montpellier are also within 2 mi (3 km).